Video games make us and break us in many ways. While a lot harbour confusing story lines and questionable graphical quality, a game’s challenge is something that will keep players coming back every time. In order to not discourage audience enthusiasm, games often opt to ‘hold our hands’ through the experience. This ‘no gamer left behind’ strategy has spawned games that will simply let players skip difficult sections, which in some situations can provide a welcome relief. However, not only does this take precious gameplay experiences away from players, it can prove detrimental the game itself. The word difficult takes on many forms in the video games of today. A lot of titles demand more twitch skills from players, on top of a deep memory bank for those melee combinations. There are control schemes, powerful and unrelenting AI, and moral choices – the latter of which are a feature of point-and-click adventures. Titles encouraging co-operative play are prime examples of straining friendships and damaging camaraderie within a game. Creating a game where your audience is on the edge of their seat (just before creating a whole in their TV screen) is a double-edged sword; on one end of the spectrum there are gamers who thrive on adversity, whereas on the other are those who crumble underneath its pressure. 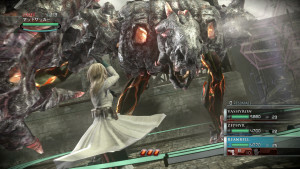 Resonance of Fate: Tough enemies and LOTS of combat strategy. The difficulty slider/modifier is the perfect way to gauge how likely somebody is to rage-quit. It’s one of the most important features of any game and is an indicator of how much stress someone is prepared to go through whilst still having time to actually enjoy the game. Difficulty sliders feature in most fighting titles and shooters of today; the frontrunners in this regard are the Mortal Kombat and Call of Duty franchises, respectively. Whilst not being overly friendly to new players, MK demands its audience has a memory big enough for a long list of finishers and counter-attacks, as well as enough know-how to remain defensively strong, too. The Call of Duty games are, traditionally, really good action movies devoid of a comprehensive plot. With only a handful of stealth sections per game, the ultimate aim of COD is to create as many explosions as possible with the instinct to know when to pop off a few shots, hunker down, and sprint to cover. This is amplified when entering Veteran difficulty, because enemy damage output is significantly increased and the blur effect nearing death is a more common occurrence. Other genres use difficulty curves that require more finesse in the execution of their mechanics. 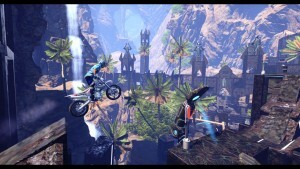 Trials Fusion is a blend of physics-based gameplay and excruciatingly troublesome (in a good way) level design. At first, Trials appeared to be a concept that was too simple to work: Help a crazed motorcyclist balance his way through a series of levels. But the gameplay is deep and, more often than not, the player is continuously fed with the possibility of completing a stage without failing; it soaks up a surprising amount of time. The player must be wary of the rider’s position, what speed to maintain, and when to use aerial tricks to manoeuvre incoming obstacles. It’s a tough game that comes into its own when the harder tracks have varying inclines and weather conditions. There are also platformers, a constant reminder of how far games have come and how the magnitude of their speed and precision aiming remains. Platformers are the first port of call for many gamers; Pitfall, Donkey Kong Country and Super Mario Bros. that haunt our writers day and night. The super side-scrollers of today have evolved into 3D adventures where the player is frequently up against an immeasurable world of pain. Collapsing walls, fiery projectiles and powerful critters roam every level where you are often outnumbered. Chance of death: highly probable. 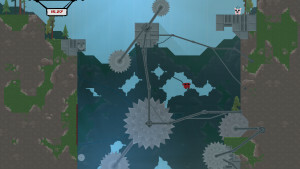 Super Meat Boy is a hallmark for the platformer genre in the contemporary era of gaming. The game is about as hazardous as it gets in terms of level design and progression – players must dodge lasers, saw blades and be agile enough to avoid death along multiple gauntlets of crumbling floors. It’s a real test of focus and twitch-based skills, which all of the 300-plus levels constantly ask of the player. A similarly challenging mental battle for players is the RPG arena of gaming. This hybrid genre is the most effective when it comes to difficulty because it can branch-off to create such an expansive library of titles. One role-playing shooter in particular delivers on three fronts – RPG elements, stimulating gameplay, and a testing but enjoyable difficulty curve. 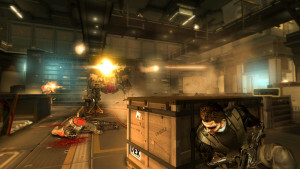 Deus Ex: Human Revolution excels in handing players the freedom to choose Adam Jensen’s offensive style (guns-blazing/stealth approaches), reflected in the types of weapons he uses and the swathe of abilities unlocking various combat tactics; Square Enix kept the ‘hand-holding’ to a minimum here. Going toe-to-toe with a turret-mounted robot wasn’t preferable for ‘Stealth Jensen’ in Human Revolution. What made Human Revolution so good was the AI and how each situation was cleared based on a player’s skill at keeping hidden and using the environment to their advantage. It wasn’t so hard that it made the player give up and the AI did just enough to keep gamers enticed. But there some games that have far more complex features at play than aggressive AI; some titles thrive on co-operative interaction and player vs. player (PvP) situations. Again, large-scale online multiplayer shooters such as the Battlefield franchise and Planetside2 reign supreme. They pit the gamers of today against something far more skilled and unpredictable – each other. A combination of twitch-skills, superior firepower, and the element of surprise are the main drivers of these PvP games. A co-ordinated assault or a hard-fought resistance on a major fortification or checkpoint in these mentally draining and lengthy virtual battles. However, few mass online games can match the tight-knit feeling of a small group of gamers blasting their way through an epic campaign. Again, the difficulty modifiers play a huge part here and a full complement of players justifies cranking that slider all the way up. Gears of War 3 was the first game in the franchise to allow four players to join Delta Squad. 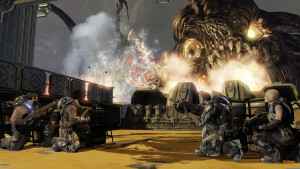 Even though the full-blooded Story Mode was the traditional way of playing Gears, it was the laid-back Arcade Mode that took some steam off the campaign and let players have some fun. Gears of War 3, on Insane, is a great test of friendship! Running and gunning with three others also had its drawbacks, though. Four players equals four different play styles and keeping everyone in check whilst fending off hordes of Locust could be a strain on the squad. The most enjoyable part is, even when Myrrah and her nasties are at Insane, there’s a point where all four COGs just click; the game is still immensely hard, but in a good way. Every member finds their go-to weapon and works their magic despite the fast-approaching onslaught of projectiles and critters. But there’s no doubt today’s game-changing juggernauts have learned from past crowd-pleasers, like Gears of War, and been transformed. An unforgivably tough game used to be reserved for only a handful people; a lot of titles became so user-friendly that gamers were scared off by games that slowly started to gather cult followings. These days, gamers relish the chance to take on these developers’ best work, wanting the best of both worlds – AI and players. Of course, FromSoftware is hot property right now – anything they touch turns to gold. Their newest IP, Bloodborne, and subsequent re-release of Dark Souls II has confirmed players are prepared to endure mountainous challenges in order to obtain an unparalleled sense of gaming accomplishment. Furthermore, lately there’s been a rise of multiplayer-only games acting as a feeding frenzy for PvP gameplay. Even though Respawn Entertainment’s flagship MechWarrior/COD action game, Titanfall, didn’t have long-lasting success, it was the precursor to other titles such as Evolve. A revitalised Star Wars: Battlefront is set to be the cornerstone of PvP gaming this year, branching off from the impressive graphics and realism of DICE’s Battlefield games. Defeating another player, as opposed an apathetic AI enemy, carries a lot of weight in gaming. Not only does it stroke the ego of every victor, but it heightens your self-belief and focus knowing that a win equals bragging rights. There’s also a high chance the two players won’t confront one another again; leaving a match in defeat, with little hope of a rematch, is completely demoralising. 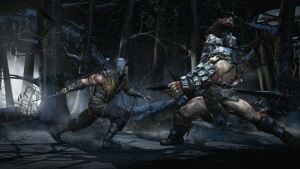 PvP combat also facilitates communication, in all forms, between gamers – mainly friendly sledging and further language unsuitable for this article. PvP is gathering momentum and appears to be what is defining a difficult game. Still, there are games out there, and others yet to be released, that will harness the power of challenging AI, difficulty modifiers and complexities of co-operative play to test gamers’ patience with themselves and each other. There are even well-known developers in the industry, namely Assassin’s Creed, whose games could do with more sliders to their AI, which has evolved into a major stumbling block. In its many forms, challenging games are great. They were once something to be feared, now they provide an avenue for gamers to pit their skills against a virtual world of pain or confront other players asking the same questions. For all the awesome fun, adrenaline and stress video games of this ilk produce, it is important to highlight that a difficult game to beat no longer means a bad game, but a good one.